While you recover, while you retire and while you manage your health at home – we’ll be there. 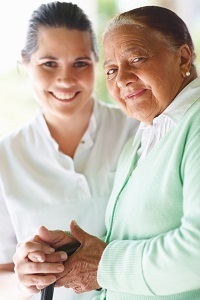 World First Class Home Health, Inc. is committed to providing the proper care to clients at home. We provide Nursing Care by Skilled Professionals, Behavioral Health Nursing, Medical Social Services and Home Care programs. These services can be customized to fit the specific needs of the individual or family. Today, an illness, disability or the challenges of old age can hamper anyone from living a full life at home. This is where we come in. Our services are designed to make it easier on the individual and his or her family members to handle the many challenges associated with their medical condition. As a team, we work to give your family the best possible health services. To do so, we must hire the best professionals into our workforce. You can meet them when you visit our office or speak to them about our services when you call (305) 692-1846.